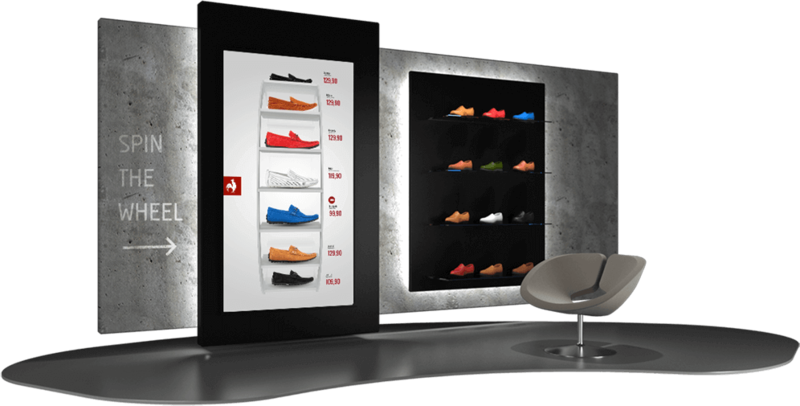 The Virtual Shelf opens up the next dimension in POS-sales, combining the best of two worlds: full online integration and the power of personal sales talks. Establish one sales standard across your whole retail structure, increase the revenue per customer significantly and reduce storage costs at the same time. 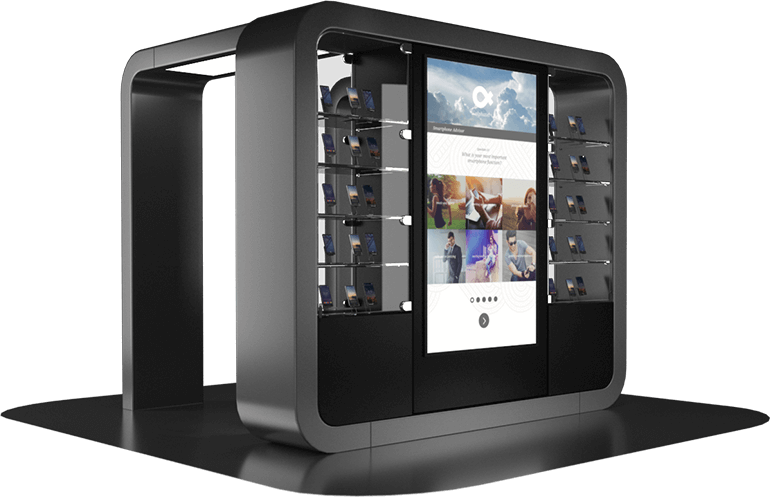 The Virtual Shelf gives you full modularity in supporting your sales processes, empowering full media experience and ensuringing sales efficiency. 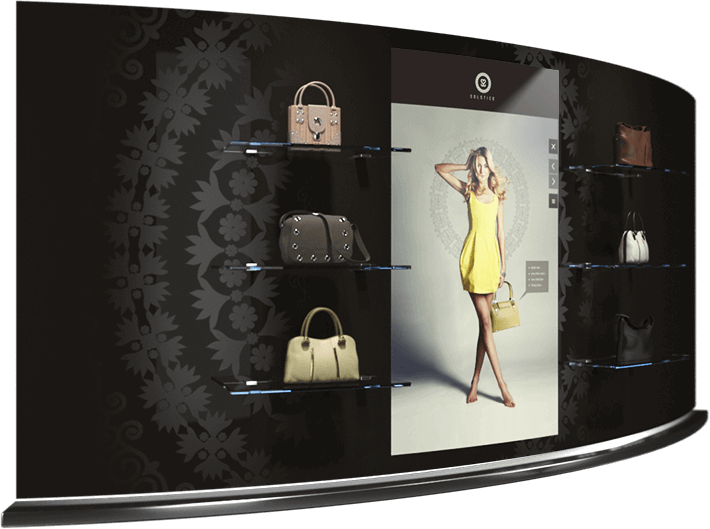 Let your product presentation turn into a stunning media experience. 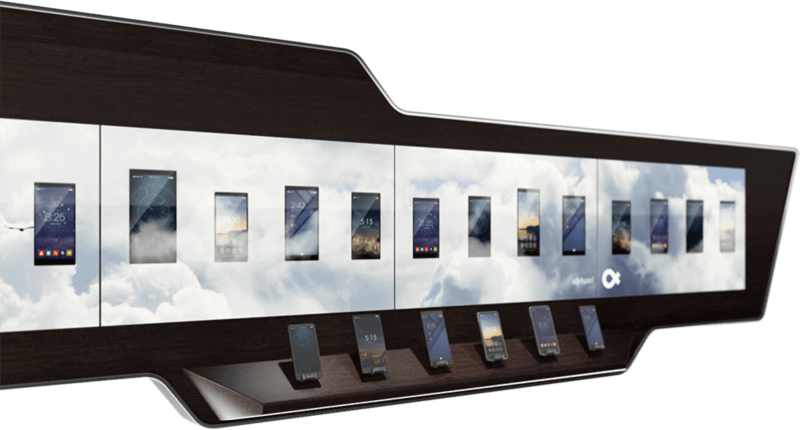 The Virtual Shelf opens up completely new ways of product presentation and leverages your presentation space into an interactive sales assistant. 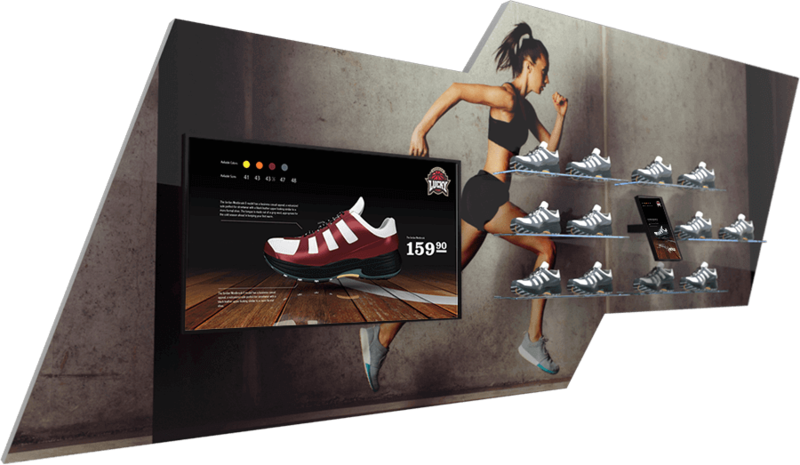 Selections made by the customer can trigger fitting media contents on linked signage screens, supporting the sales talk through brand image, extended product information and cross- or up-selling recommendations. 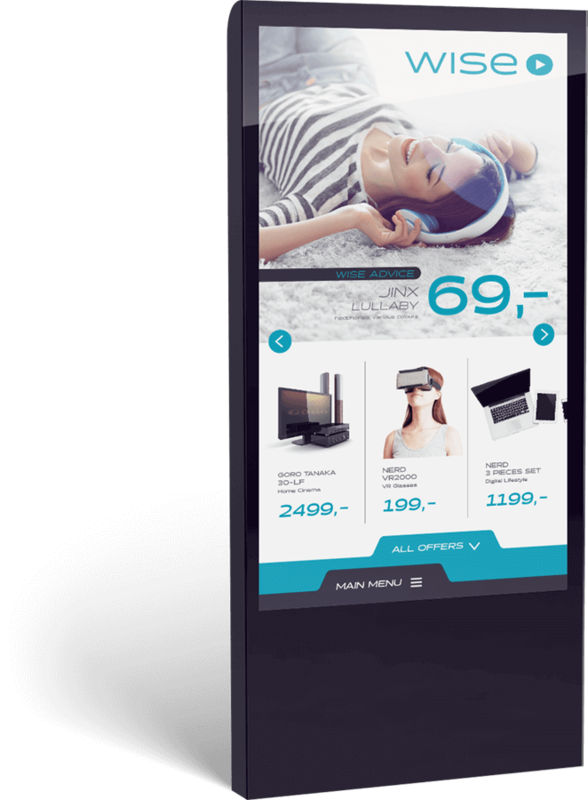 The flexible frontend interface of the Virtual Shelf enables new experiences in browsing product ranges and pushing customers’ shopping experience to the next level. Enhanced product information, availability, cross-selling, up-selling or plans? The Virtual Shelf seamlessly interacts with physical products simply via RFID or EAN code, thus giving the integrated shopping experience a new dimension. The Virtual Shelf makes it easy to establish sales standards through guided and assisted selling within your whole sales network, enabling employees to increase the revenue per customer significantly and focus on their personal sales talks. Easily link experts into sales talks! The Virtual Shelf brings individual expertise to any place. Activate experts live during sales talks at a fingertip via the embedded video conferencing system.